Toyota Corolla has been voted among the best-selling cars in the world and the car is already popular in more than 154 countries around the world. 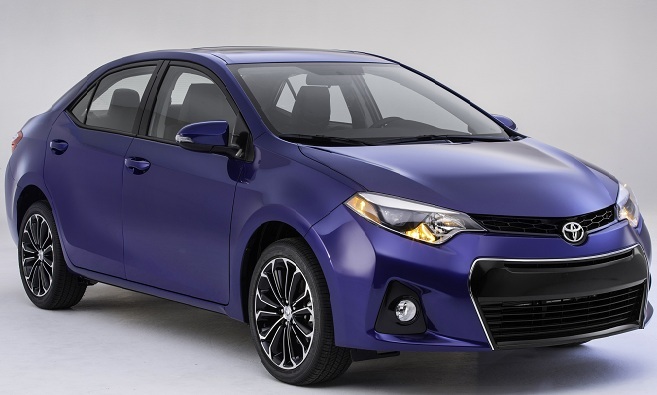 Now, Toyota has made an announcement that they are launching the new 2014 Toyota Corolla that will have better styling, design, functions and performance that will impress many new car buyers. Toyota said that they are really excited about the new model that they are going to launch in the market. In terms of design the new 2014 Toyota Corolla will be different and more stylish than ever before. The exterior design symbolizes the Iconic Dynamism and takes some of the design factor from the Corolla Furia Concept that Toyota unveiled at the North American International Auto Show this year. The car will be more athletic and will have a longer wheelbase and therefore it offers better options for those who want to buy compact sedan. The front fascia of the vehicle also has sharper design with trapezoidal grille. Some of the design factors are also opted from Avalon and Camry. It also has subtle rear deck-lid spoiler that makes the car look aggressive and sporty. Toyota is offering the new 2014 Corolla in two engine specifications for the consumers. The base model will have 1.8 liter all aluminum four cylinder engine with VVT options and the engine will be able to produce 132 horsepower and 128 lb feet of torque. While the LE Eco trim level will have 1.8 liter engine with Valvematic technology that will be used for the first time in the US market. The Eco trim level engine offers 140 horsepower and 126 lb feet of torque. Both the engines are mated with four speed automatic transmission or six speed manual transmission depending on the options available. 2014 Toyota Corolla also offers wide range of safety features and better interiors for overall comfortable driving experience.